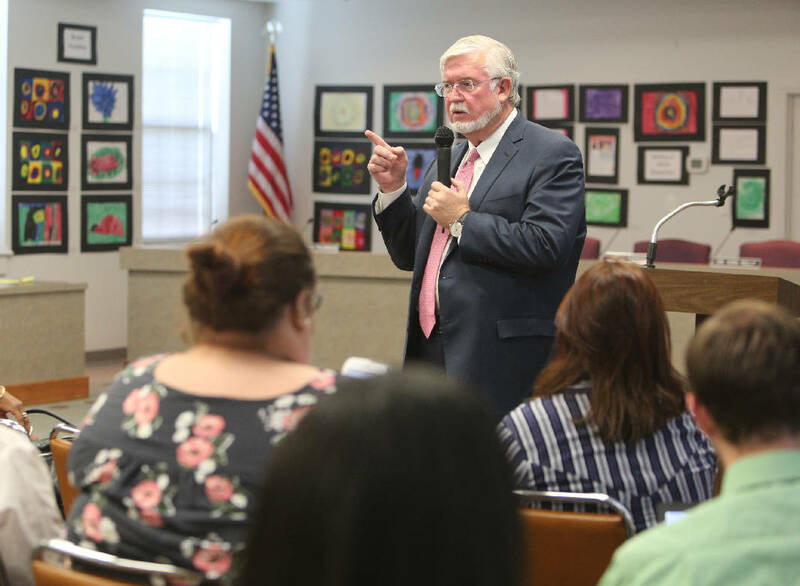 Dr. Wayne Johnson, a candidate for Hamilton County Superintendent of Schools, answers questions during a meet-and-greet with the public at the Hamilton County Board of Education on Mon., June 5, 2017. Johnson's background is in business, but he sees being a nontraditional candidate as a positive thing. U.S. Secretary of Education Betsy DeVos announced today her intent to appoint Arthur Wayne Johnson as the chief operating officer of Federal Student Aid. 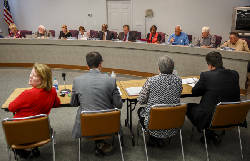 Johnson, a Georgia businessman, was a finalist in Hamilton County Schools' recent superintendent search and pulled his name from consideration just an hour before the board voted last week to name a permanent superintendent. DeVos said Johnson is the right person to lead the FSA, as his doctoral research focused on issues related to student loans. He is tasked with simplifying and modernizing the federal student aid process. "He actually wrote the book on student loan debt and will bring a unique combination of CEO-level operating skills and an in-depth understanding of the needs and issues associated with student loan borrowers and their families," DeVos said in a statement. "He will be a tremendous asset to the Department as we move forward with a focus on how best to serve students and protect taxpayers." Johnson said he appreciates and recognizes the critical role FSA plays in allowing students to participate in higher education. "It is with a deep and sincere commitment to the millions of current and future Federal Student Aid clients that I look forward to accepting responsibility and accountability for the policies, actions and practices of FSA," Johnson said in a statement. FSA serves 42 million student loan borrowers and administers more than $1.4 trillion in current outstanding loan balances. Last week, school board chairman Steve Highlander said Johnson removed himself from the superintendent search because of personal reasons and the needs of the school district. School board members Rhonda Thurman and Joe Smith voiced support for Johnson, an unconventional candidate, saying his business background would be an asset to the district. But other members were concerned about his lack of experience in education. The school board ultimately chose Bryan Johnson, a Tennessee educator, for the superintendent post.